We all love the potential that the law of attraction can bring. We also all love to get something for free, right? Well, we’ve decided to combine these two ‘loves’, to manifest something very special. By landing on this page, you have just got the law of attraction to work for you. That’s EXACTLY how deliberate creation happens. Somewhere deep inside of you, you have got the vibrations ‘right’ and are now about to go to the ‘next level’……. for FREE. This page is going to be a giant library of where to get quality FREE law of attraction products. This will be a ‘work in progress’, so please bookmark this page NOW and keep checking back for more ‘free stuff’ which will be added to the vault. These are all products which are available directly from the authors….. You just need to know where to look – “Ask and it is Given”. A reminder about our own free law of attraction ebooks. The biggest Law of Attraction Facebook group in the world. A free manifestation toolkit (Contains everything you need to manifest your desires). Free law of attraction visualization tools. Free law of attraction daily teachings software. Free law of attraction Kindle books. We show you how to get them legally. Don’t have a Kindle? Don’t worry, we show you how to get round that too. How to get 100’s of Free law of attraction downloadable ebooks (PDFs). We will show you how to get these legally. Free “The Secret” law of attraction wallpaper for your computer. Yes, unfortunately they are. However, we shall make sure that we vet everything before we recommend it to you. The last thing we want to do is to recommend a load of poor quality law of attraction books, or software, which is just going to clog-up your hard-drives and never get used. 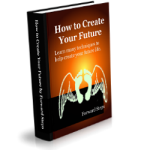 (How to) Create Your Future. Creating Powerful Habits To Manifest The Life You Desire. Living the Law of Attraction. Just go to our free personal growth ebooks page for more details. Katherine Hurst runs the worlds biggest law of attraction Facebook group (it’s currently got over 1.7 MILLION members). She provides a lot of free information on there, plus there is plenty of interaction with ‘like-minded’ members. Click on the link below and join the group. We’ll see you in there. Many millions of people have watched “The Secret”, yet very few have actually improved their lives as a result of watching it. Why is that? This excellent assessment (quiz), is designed to tell you if you are ‘on the right path’ with the law of attraction. If you’re not, then it will tell you the reasons why you are failing to manifest your desires. To take the assessment, which is on the lawofattraction.com’s website, simply click on the link below. * Remember answer truthfully in order to get an accurate assessment of where you’re at. The visualization tools part of the member’s area is split into 3 sub-sections. A 3-step guide to using affirmations. Tips and hints for using affirmations. 25 law of attraction affirmations. 13 health / weight loss affirmations. 2. How to Create a Dream Board Module. Katherine Hurst provides a simple 5-step process for creating your ideal dream board. You’ll also get to see 4 example dream boards. How much money do you want? You can have it!! This is brilliant. You get a free blank check, which looks exactly like the check you would get from a bank. Download the check (it’s in PDF format). Make it payable to you. Write in the amount that you want to manifest into your life. Put the check where you will see it every day. Wait for the magic to happen. 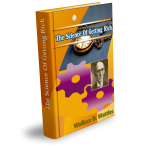 The 4th item in the toolkit is a free downloadable pdf copy of the classic “Science of Getting Rich” (by Wallace D Wattles), for you to keep. The 5th item in the toolkit is a revealing free 30-minute video about the law of attraction. To gain access to the members area of the free law of attraction toolkit (which includes ALL of the above); simply click on the link below. Far too many people get sucked into watching mind-numbing TV, or waste time on social media. The truth is, if we want to manifest things into our lives we have to keep our mind active and alert for the right opportunities. The Secret’s “Memory Game” aims to keep our minds alert. It only takes 3 minutes to play, but is really good for training our minds. It’s also designed to make the teachings of “The Secret” subliminally stick in your mind. 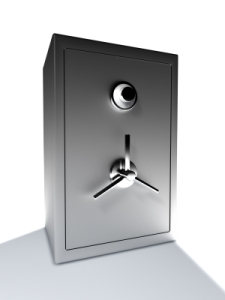 If you have watched the movie “The Secret”, then many of the images in this fun game will be familiar to you. Once you have completed the game, you will be given a score. Scroll down to the bottom of the page and see the law of attraction comment which relates to your score. When you click on the link below, you will be taken to 4 visualization tools designed by the producers of the movie “The Secret”. They are very powerful and something that we regularly use. Read the descriptions of each before you hit the ‘play’ buttons. If you only pick one thing from this page then pick this. IT IS BRILLIANT!!!! The Yahoo! Widget is for Mac OS X and Microsoft Windows. The Google Desktop gadget is for computers running Microsoft Windows. The Apple Dashboard widget is for Apple Mac. The Vista sidebar gadget is for PCs and Apple computers. If you haven’t got a Kindle then don’t worry. You can download software from Amazon which will enable you to read kindle books on your PC or Mac. Follow these links to install the software. Now, assuming that you do have a Kindle (or have installed the kindle software described above) we can proceed with obtaining our free law of attraction books. Go to your local Amazon site (i.e. Amazon.com, or Amazon.co.uk etc.) and then follow the simple steps below. Look to the left of the search box and click on the drop down arrow. Scroll down the list and click on “Kindle Store”. “Kindle Store” should now be populated to the left of the search box. In the search box, type in: Law of Attraction. You will then be presented with a page of results. To the right of the page is another drop down box “Sort by…..”. Click on the drop down arrow. Select the option: “Low to high”. You will now be presented with the lowest cost books, which should (hopefully) be free. Click on whichever book you fancy. Make sure the book still says $0.00 (or £0.00). Click on the orange “Buy Now” or “Add to Cart”. Once you’ve gone through the checkout process, you will get an option to download the kindle book to your Kindle (or pc / mac). Of course you can use the above ‘trick’ for other free Kindle books (just type in something other than “Law of Attraction”). The above does depend on generous authors offering their books for free. There might not always be free books available (but there usually is). Check back regularly on Amazon for new books. Leave the author a feedback score, or comment about their book (this DOES help them). We hope that you can take advantage of this idea. Please help US by sharing this page on social media (the more visitors we get here the more ideas we can bring to you). Here is another sneaky little trick, which will give you access to a lot of free law of attraction ebooks. Many personal development websites offer free ebooks – although it’s not always easy to find the links to these books, as they are ‘buried’ deep within the website pages. Go to your local Google page (Google.com, Google.co.uk etc.). You will receive a list of results (just like a normal search results listing). However, they should nearly all start with [PDF]. Click on one that appeals to you and it should take you to the ebook. Providing there are no download restrictions, you should be able to download the book by clicking on “File” > “Save page as”. Of course you can do this for searches other than Law of Attraction ebooks. If you think this is a great idea, then please share this article, using the social media links below. Thanks. Here is another great freebie from our friends over at The Secret website. A total of 13 different wallpapers (including inspirational quotes) to re-enforce the law of attraction messages. Genie (This is what we have on our computers). All of the above are available (in various sizes) from the link below. We have so much more planned for this page!!!!!!! In fact, it’s fair to say that we have actually used the law of attraction itself in order for us to ‘manifest’ these free products and resources for you. Do YOU know of anymore great free law of attraction resources? Why not put your ideas in the comments section below? If we like (and use) your idea, we will let you have all SEVEN of the law of attraction books that we have mentioned in (1) above (without opting in or buying anything else – we’ll just send them to you). Until we get more information added to this page, we highly recommend that you take the above mentioned law of attraction assessment and sign up for the lawofattraction.com’s free membership site & toolkit. Here’s those links again. FREE Law of Attraction Assessment. FREE Law of Attraction Toolkit. We shall be back soon with even more free law of attraction stuff. 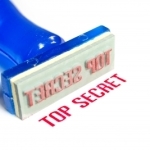 ALL WE WOULD ASK IS THAT YOU DO NOT SHARE THIS “SECRET PAGE” WITH ANYONE….. OHHH WHO ARE WE KIDDING? PLEASE SHARE USING THE SOCIAL MEDIA LINKS BELOW. THANKS.